Sure, your dress is killing it, but you’re just going to Target. Our Solid Swing Dress can be worn for many different occasions. This dress will be the Swiss Army Knife of your wardrobe and we’ll show you how. We like to keep up on our social media at Lazy Caturday and we often see people seeking out comfortable and affordable dresses for all occasions. This is not an unreasonable request as you would like to get as much use out of your clothes as possible. Sure, we all have that really fabulous dress hanging in our closet waiting for the right occasion, but if you put it in your regular rotation, you might feel over-dressed for day-to-day occasions like work or shopping. What you really need is a dress that’s a multi-tasker. You need something you could easily wear to work, going to an event, or just hanging out with friends. 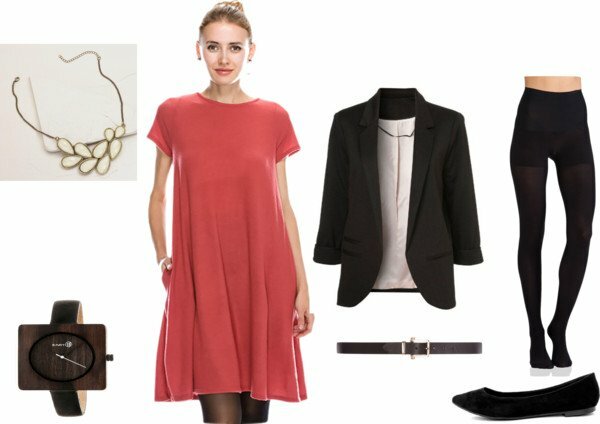 Below, we have examples of ways you can wear one of our Solid Swing Dresses for work, going to an event, or just hanging out with friends. Pair your Solid Swing Dress with a blazer, a skinny belt, a statement necklace, dark tights and flats for a professional look. Impress the folks at work with a unique wooden wrist watch. Create a more dramatic look with knee-length boots and patterned tights. Pair a choker necklace with a matching bracelet and you have a bold, yet sleek look. 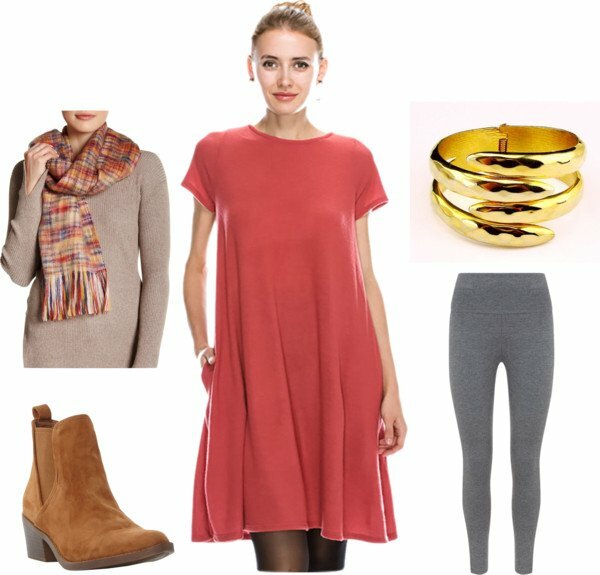 You can create a more casual look with a blanket scarf, grey leggings, brown booties and a bangle bracelet. It’s easy to find a number of possibilities with the Solid Swing Dress. It’s so universal, you can rock this frock in most any situation. In addition to being the Swiss Army Knife of your wardrobe, it’s comfortable and has pockets!